OK I know I broke my own rules about electronic games but its my website and my rules! 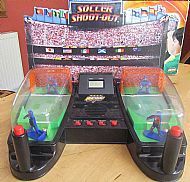 There was just something about this game that I liked - two player small arcade type game where most goals in a minute wins. 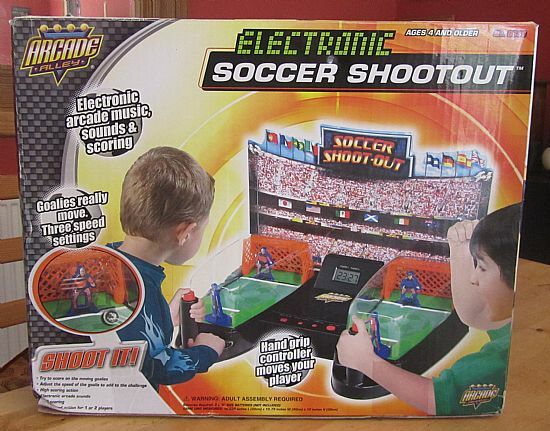 Comes complete with appallingly annoying electronic music and sound effects. A modern game with electronics and battery power. 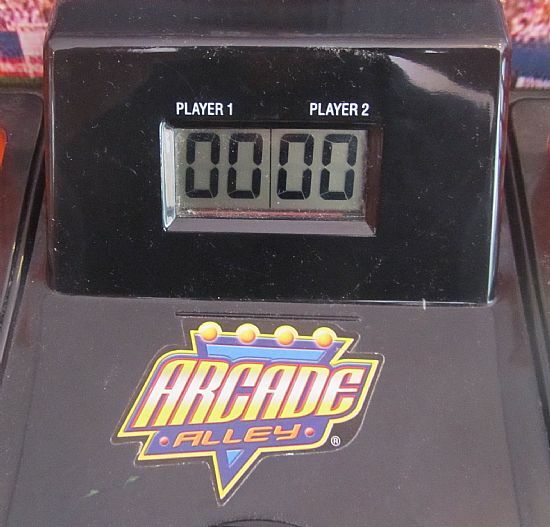 Two player arcade style game simple and fun. Set up like a mini arcade game. Two players side by side. Very simple - most goals scored in a minute wins. Sturdy and well made. 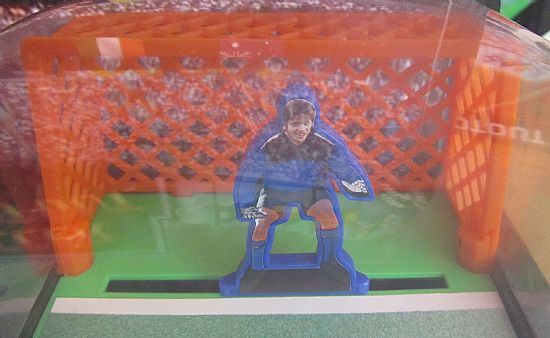 Each side contains a goalie who moves from side to side electronically and a spring powered kicker. The ball is a pleasingly heavy ball bearing. Just who is the mystery keeper? 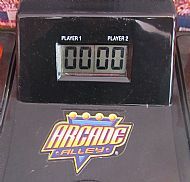 The scores are kept automatically and this part of the game works well. 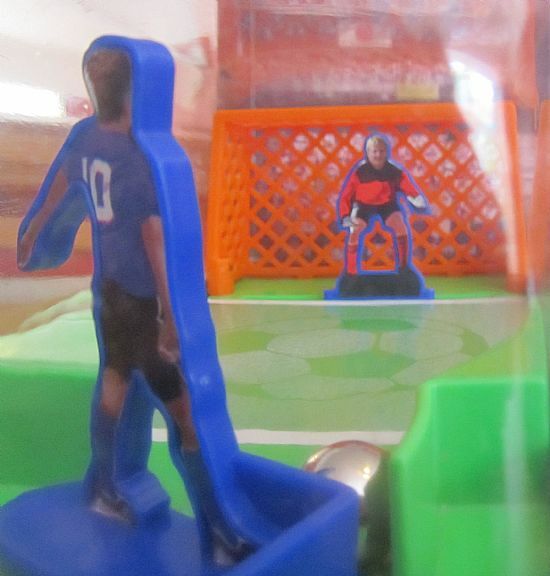 Nicely printed and produced game pitch. Altogether a lovely little game.